Playwright, performer and lyricist Adolph Green (b. Bronx, New York, December 2, 1914; d. Manhattan, October 23, 2002) and his partner – but not wife – Betty Comden constituted the writing team of Comden and Green that turned out lyrics, books, and screenplays for six decades of American hit musicals. Their collaborators were the best theatrical composers in the business: Leonard Bernstein, Jule Styne, Cy Coleman, André Previn, Morton Gould, Roger Edens. At home primarily on Broadway (Wonderful Town 1953, Bells Are Ringing 1956, On the Twentieth Century 1978), they also spent years in Hollywood as part of Arthur Freed’s “Unit” at MGM, producing film musicals like On the Town (1949), Singin’ in the Rain (1952), and The Band Wagon (1953). Although Comden and Green conferred every day of their lives, whether working on a project or not, they were never married, nor did they ever consider it. The son of Hungarian Jewish immigrants, Adolph Green attended public schools. His grades were not outstanding, even though he was an avid reader, a writer of poetry, a music fan, and an enthusiastic thespian. He graduated from DeWitt Clinton High School in 1934, the worst time of the Depression, and worked as a runner on Wall Street, hoping for a break as an actor. In 1937 he took a job as a counselor at a summer camp where he became good friends with the music counselor, Harvard student Leonard Bernstein. The next year he met Betty Comden, then a drama major at New YorkUniversity, and several other theatrically-inclined young people who decided to form a performing troupe called the Revuers. The troupe established itself at a club in Greenwich Village, the Village Vanguard, and did sketch comedy (“The Banshi Sisters,” “The Baroness Bazuka”), packing in the clientele even though the proprietor had no liquor license. 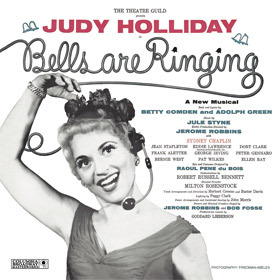 Among the players were comedienne Judy Tuvim – who later became Judy Holliday – and Bernstein who, whenever he could, would take the train up from the Curtis Institute of Music in Philadelphia (where he was now studying) to accompany on the piano. The Revuers’ fame reached the ears of Hollywood producers, and they were offered a spot in a Carmen Miranda-Don Ameche movie called Greenwich Village (1944), but in the end their parts were so negligible – Adolph was dropped altogether – that they all straggled back to New York. Meanwhile Bernstein had had his first great stage success collaborating with Jerome Robbins on the ballet Fancy Free (1944), and plans were afoot to turn it into a Broadway musical. 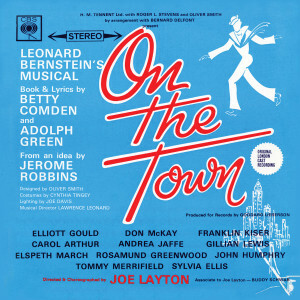 Bernstein approached Comden and Green to write the book and lyrics, which they were only too happy to do, taking the opportunity to include substantial parts in it for themselves. The smashing success of the result, On the Town (1944),encouraged them to follow with two more musicals, Billion Dollar Baby (music by Morton Gould, 1945) and Bonanza Bound (1947), but neither of these did well, and Comden and Green again headed for California. They immediately found work with MGM, writing screenplays for Good News (1947) with June Allyson and Peter Lawford, for The Barkleys of Broadway (1949) with Ginger Rogers and Fred Astaire, for Take Me Out to the Ball Game (1949) with Gene Kelly, Frank Sinatra and Esther Williams, and then adapting On the Town (1949) for Frank Sinatra and Gene Kelly. (Producer Arthur Freed thought little of Bernstein’s score, so most of it, except for “New York, New York,” was cut out.) The next project – screenplay only, and lyrics to one song – was Singin’ in the Rain, one of the all-time greatest of film musicals, and then The Band Wagon with Fred Astaire and Cyd Charisse, which ranks nearly as high. Although – incredibly – Singin’ in the Rain never won an award, Comden and Green earned Screen Writers Guild Awards for On the Town, The Band Wagon, and their next musical feature, It’s Always Fair Weather (1955), as well as Oscar® nominations for the two latter screenplays. 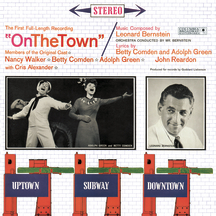 In the 1950s Comden and Green commenced a gradual return home to Broadway, with the revue Two on the Aisle (1951) starring Bert Lahr and Dolores Gray, Wonderful Town (Tony Award®, Best Musical, 1953) with Rosalind Russell and Edie Adams as two Ohio sisters trying to find their way in the Big City, and Bells Are Ringing (Tony Award® nominee, Best Musical, 1957) starring their old friend and colleague Judy Holliday. 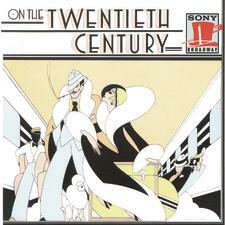 With tunes like “Just in Time,” “Long Before I Knew You,” and “The Party’s Over,” this score proved to be among their finest and most popular. 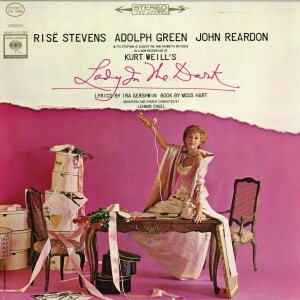 Say, Darling followed in 1958 (meanwhile they furnished the screenplay for the film version of Auntie Mame), and in the same year a revue called A Party with Betty Comden and Adolph Green brought them in person to the Broadway stage doing some of their early sketches; another version of it was mounted almost twenty years later. 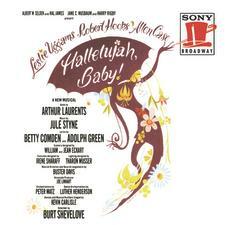 The next decades brought repeated triumphs on Broadway stages: Do Re Mi (Tony Award® nominee, Best Musical, 1961), Subways Are For Sleeping (1961), Fade Out – Fade In (1964), Hallelujah, Baby! 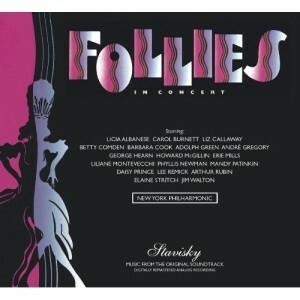 (Tony Awards®, Best Composer and Lyricist, Best Musical, 1968), Applause (Tony Award®, Best Musical, 1970), Lorelei (1974), On the Twentieth Century (Tony Awards®, Best Book of a Musical, Best Original Score, 1978), a staged version of Singin’ in the Rain (Tony Award® nominee, Best Book of a Musical, 1986), and The Will Rogers Follies (Tony Award®, Best Original Score, 1991). 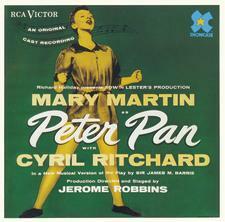 Among other credits are six songs for Mary Martin’s Peter Pan (1954), a modernized Die Fledermaus for the Metropolitan Opera, and stage vehicles for Carol Burnett, Leslie Uggams, and Lauren Bacall. Comden and Green received Kennedy Center Honors in 1991. The long career of Comden and Green was celebrated in 1999 in a two-night series at Carnegie Hall, with performances from their repertoire by Elaine Stritch and Brian Stokes Mitchell. 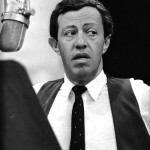 Adolph Green died at 87 in his home in Manhattan, survived by his third wife, actress Phyllis Newman, and their two children, Adam and Amanda. His memorial in December 2002 was a sad but gala theatrical affair, with performances and tributes by two dozen Broadway stars and friends.